Did you hear this amazing announcement by Sears Outlet, "In case you missed our big announcement last night, we’re having free apparel Tuesdays starting today and going through the rest of the year! All you have to do is be a Shop Your Way Rewards Member with a valid email address. It’s completely free and available for sign up in store. And as always any friend of yours is a friend of ours, so don’t forget to share this"
Apparently there is no maximum. All you have to do is sing up as a Shop Your Way Rewards Member and go shopping on Tuesdays and grab your free clothes! This deal will not work with outwear or Levi's Brand. How amazing is this? Unfortunately there are not many Sears Outlet stores that sell apparel. 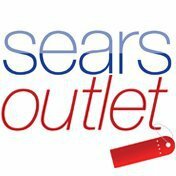 Click here to see if there is a Sears Outlet by you that carries apparel now!